— The astronauts and cosmonauts onboard the International Space Station now have three new crew mates who look a lot like them — only much smaller. 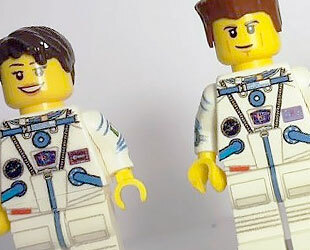 LEGO minifigures customized to look like NASA astronaut Terry Virts, Roscosmos cosmonaut Anton Shklaperov and European Space Agency astronaut Samantha Cristoforetti were recently revealed as being on the orbital outpost. The tiny toy space explorers were among the gifts the crew exchanged on New Year's Day. 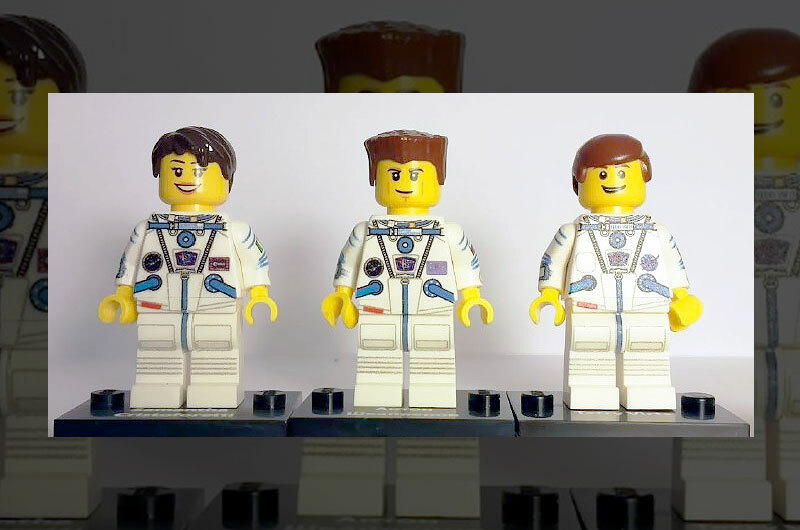 The station's resident cosmonauts, Shklaperov, Alexander Samokutyaev and Elena Serova, included a photo of the LEGO minifigures velcroed to a wall as part of a blog entry they posted to Roscosmos' website. "There were gifts!" the cosmonauts wrote, describing their celebration. "From family, friends and colleagues!" 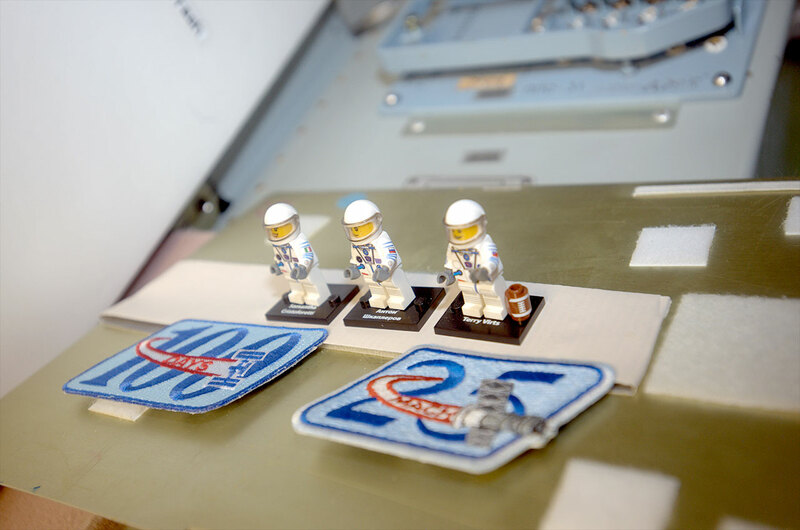 Each of the 2-inch-tall (5 centimeter) minifigures are clad in Russian Sokol spacesuits like the real crew members wore when they launched in November from the Baikonur Cosmodrome in Kazakhstan. Each of the small suits even have the proper agency and national flags: NASA/USA for Virts, Roscosmos/Russia for Shklaperov, and ESA/Italy for Cristoforetti. Shklaperov's and Cristoforetti's minifig suits also feature the Soyuz TMA-15M mission patch, whereas Virts figure includes a LEGO football, similar to one he has been seen tossing around on the space station. 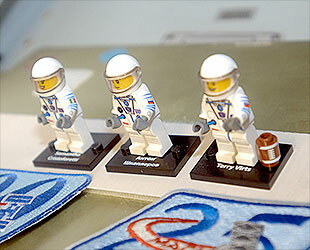 The cosmonauts said that the minifigures were a gift from Cristoforetti. She received them from a training instructor at the European Space Agency, who commissioned them from the UK-based company Minifigs.me. The minifigures were customized based on photos of the crew. The company was unaware that their creations were space-bound until they saw the cosmonauts' post. "I've always been a huge space nerd," said Nick Savage, Minifigs.me codirector, in a press statement. "I may never become an astronaut, but it is amazing to think my little LEGO guys have." "It is wonderful to know that they are up there right now, whizzing through space at over 17,000 miles per hour. We have shipped all over the world before, but never off it," he remarked. 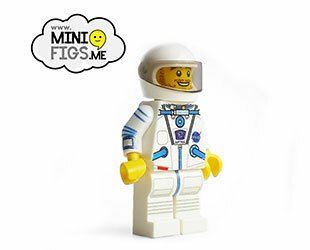 To celebrate, Minifigs.me introduced a new category in its product catalog, "Space," offering Star Trek- and Kerbal Space Program-themed figures, as well as the astronauts that they created for the space station's crew. "Originally commissioned for the crew of the ISS, you can order an American, European or Russian suit complete with accurate [space] agency patch and flag," advertises Minifig.me on its website. 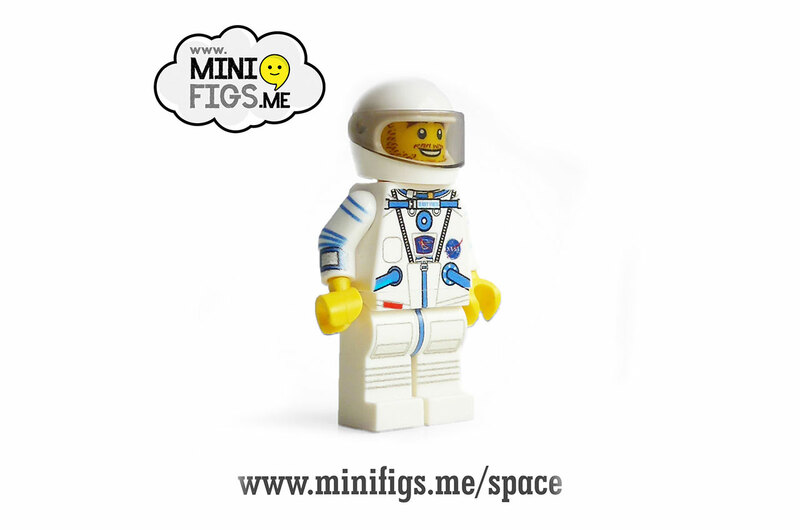 Each astronaut or cosmonaut minifig costs £12.99 (about $20 U.S.). This is the UK company's second astronaut offering. The online shop previously created (and still offers for sale) a LEGO minifigure customized to look like Canadian Space Agency astronaut Chris Hadfield, which included a guitar similar to the one he used to record David Bowie's "Space Oddity" while serving as commander of the space station in 2013. The Soyuz TMA-15M crew's minifigures are not the first LEGO toys to reach space or float aboard the International Space Station. Official LEGO minifigures are now on their way to Jupiter on NASA's Juno probe and previous station crews have used the iconic bricks to perform educational demonstrations, even building a model of the station itself.